Welcome to the wide world of Get Smart, Control, and all it's newly unclassified secrets! 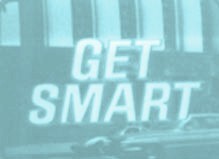 (I didn't dub this the Unclassified Get Smart Site just because it sounded catchy!) 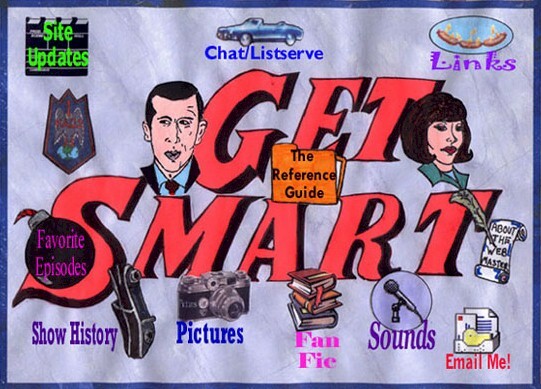 Secrets even the Chief didn't know can be found in the Get Smart Reference Guide! This site also has top secret pictures, clandestine controversies and a mission of Agent 86's that can only be disclosed through Fan Fiction. Head on into my branch of Control Headquarters by clicking on the Image map below and have a ball! Click on the "site map" link at the very bottom of each page for easier site navigation! Help get Don Adams a spot on A&E's Biography! Go to Carl's Site for more details! The times are eastern standard time, so all the groovy folks living in Central should remember that Get Smart will come on an hour earlier. This site has reached 10,000 hits! Netscape is just best not being used! Update Includes: Additions have been made to the the sound section, The Bill Dana Page, and also The Sacred Cows Fan Page is here!